Microprocessor Water & Soil Analysis Kit – 1160 | Electronics India - Manufacturer, Supplier and Exporter of Analytical, Scientific Laboratory and Pharmaceautical Instruments in India. 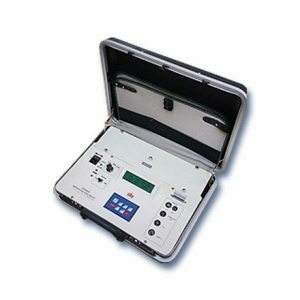 For efficient use of nutrients in the soil, to test the purity of drinking water and for waste water testing, the company has introduced Microprocessor Water and Soil Analysis Kit – 1160. This is a unique portable instrument for measurement of various parameters i.e. pH, Conductivity, TDS, Salinity, Temperature, Dissolved Oxygen and mV of any solution. A chargeable sealed lead acid battery is provided within the kit that makes it extremely useful for field and laboratory use. The use of latest microcontroller technology makes it reliable, accurate and low power consuming instrument. pH EC TDS DO ORP Salinity Temp. Tablets 7 pH & 4 pH, Main Lead and Operation Manual.